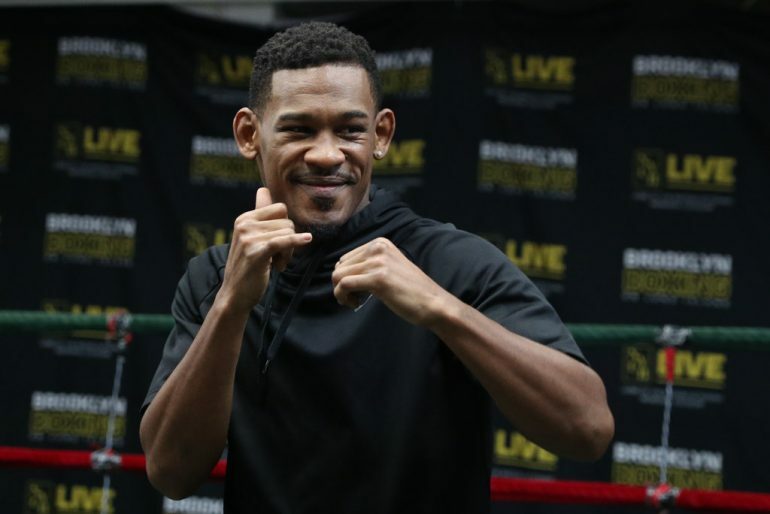 Daniel Jacobs is headed for a second title shot. The Ring’s No. 2 middleweight has agreed to terms for his IBF-ordered 160-pound title tilt with Sergey Derevyanchenko, Jacobs’ promoter, Eddie Hearn, announced via Twitter on Tuesday. The fight will headline an HBO show in October and land in New York, where both fighters are based. The fight will land on one of three dates: Oct. 20, Oct. 27 or Nov. 10, and likely at Madison Square Garden, a source told The Ring. The deal’s completion came minutes before Tuesday’s deadline; there was a purse bid scheduled for 12 p.m. ET, where the fight would be auctioned off to the highest bidder. That was a piece of business Hearn and Jacobs’ manager, Keith Connolly, were hoping to avoid. After all, Jacobs is contractually tied to HBO, and if another promoter, such as Top Rank, won the purse bid with plans to place the fight on ESPN, he would be unable to compete in the matchup. “Extremely happy the deal got done for two of my guys, Danny and Sergey, to fight for the title,” Connolly, who also manages Derevyanchenko, told The Ring. “It was a fight that a lot of people didn’t think would be made because they’re stablemates but at the end of the day both guys have a dream of winning a world title and also the upside it brings as far as future fights. The title became available when Gennady Golovkin was stripped. The 36-year-old Kazakh elected to fight Vanes Martirosyan rather than No. 1 contender Derevyanchenko when the Canelo Alvarez rematch scheduled for May 5 fell through. Jacobs (34-2, 29 knockouts) greatly increased his stock, even in defeat, when he faced off against GGG las year. The 31-year-old Brooklynite survived a fourth-round knockdown to push Golovkin to the brink in an HBO PPV title fight many media members scored for Jacobs. He signed a deal with the network following his career-best performance, beginning with a decision victory over Luis Arias in November. Jacobs followed up with a win over Maciel Sulecki in April, where he scored a knockdown in the 12th round. HBO has been heavily criticized for their lack of high-profile bouts on the subscription channel (Canelo-GGG 2 is on PPV), but Jacobs-Derevyanchenko is a coup for the network and its top sports executive, Peter Nelson. It’s also a fight that likely garnered a license fee in excess of $2.5 million, far more than HBO has typically been willing to spend over the past couple of years. Both Jacobs and Derevyanchenko (12-0, 10 KOs) are trained by the same man, Andre Rozier. They’ve sparred several rounds against each other, and Rozier will remain with Jacobs ahead of the bout. Gary Stark, who has been Derevyanchenko’s co-trainer for years, will man the corner in Rozier’s place. The 32-year-old native of Russia won a bronze medal at the 2007 World Amateur Boxing Championship and went on to represent Ukraine at the 2008 Olympic Games. The Ring’s No. 4 middleweight will be facing a significant step-up in opposition in his first title tilt, but he’s impressed to this date with his power and boxing acumen, most notably with a 12th-round stoppage of Tureano Johnson last year. Canelo and GGG are clearly the top dogs in one of boxing’s glamour divisions, but Jacobs and Derevyanchenko have an opportunity to inch closer to those coveted spots with a victory, and perhaps even a future showdown with the winner of September’s super fight.